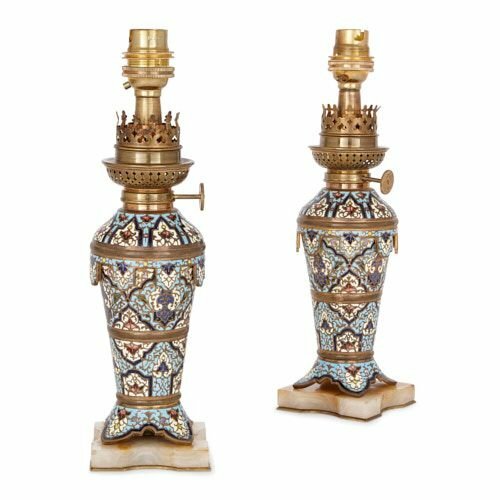 These small ormolu lamps have been beautifully decorated with colourful, geometric champlevé enamel forms, which appear to be inspired by Islamic design. 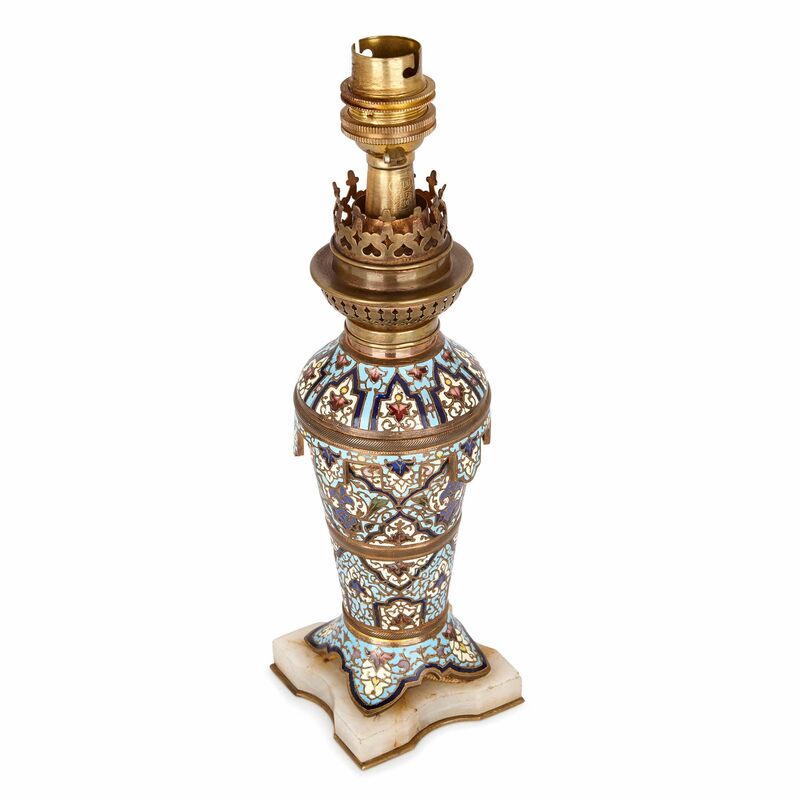 The lamps stand on shaped, square white onyx plinths, which are lined underneath with ormolu. 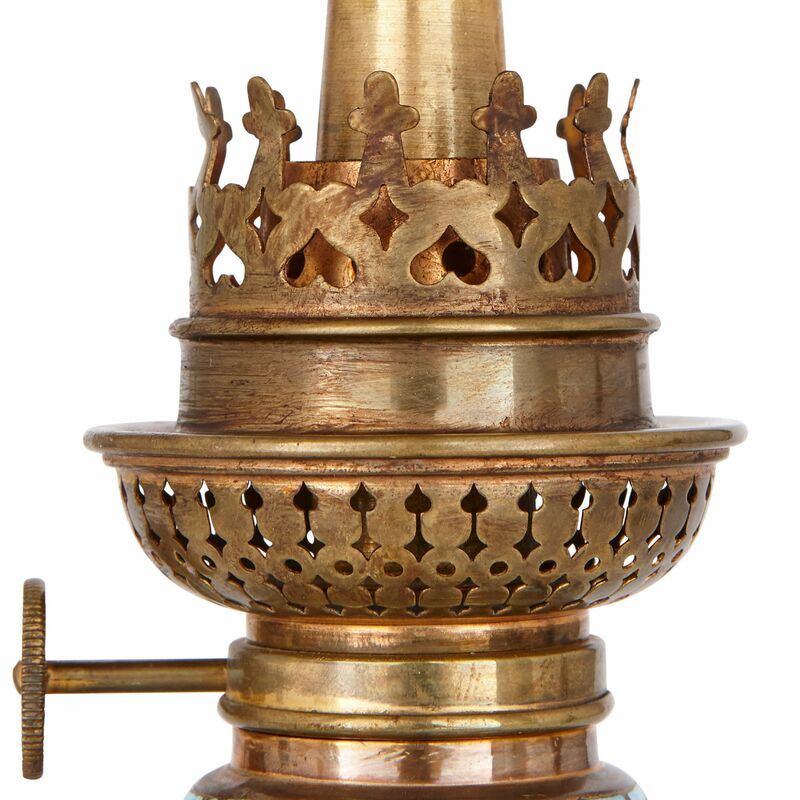 The lamp bodies are baluster-shaped, and stand on lobed, petal-like feet. Ormolu bands encircle the bodies at three points: the bases, centres and tops. 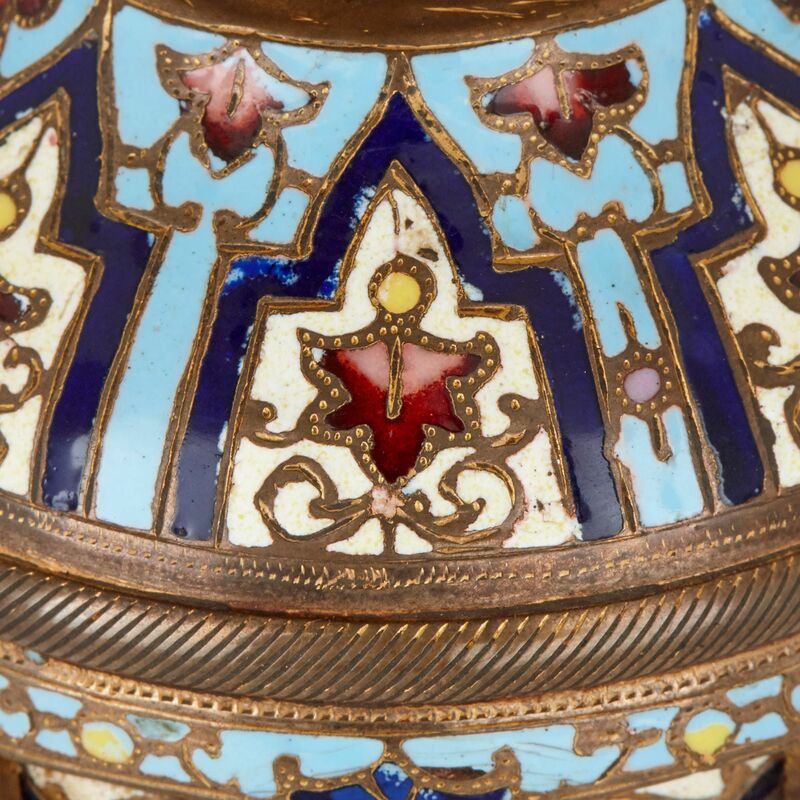 Turquoise, royal blue, navy, white, red and yellow enamels decorate the lamp bodies. 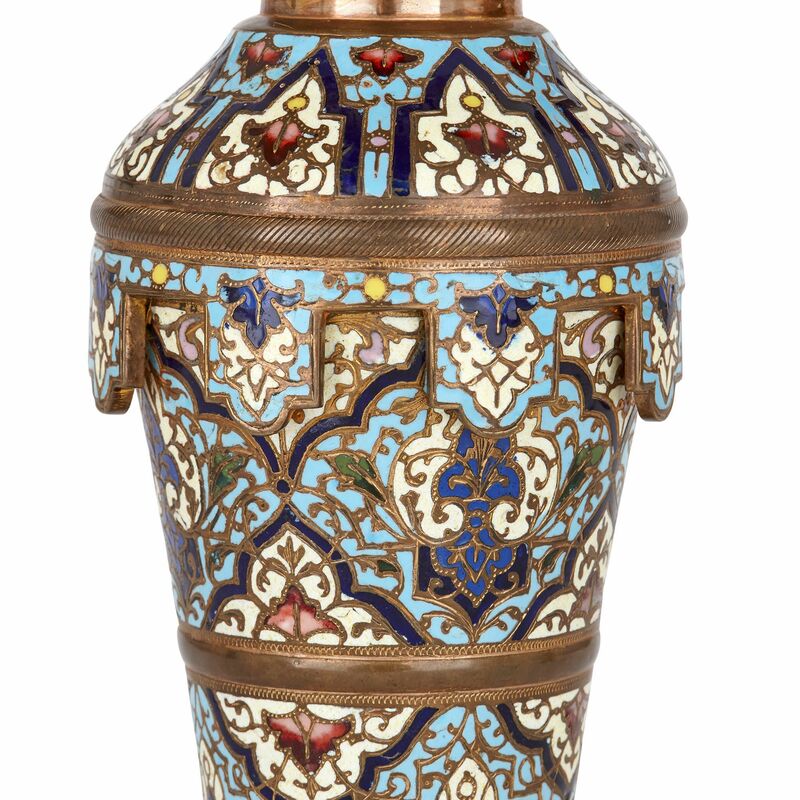 These enamels are arranged into multi-lobed, geometric shapes and palmettes, overlaid with scrolling ormolu foliage. 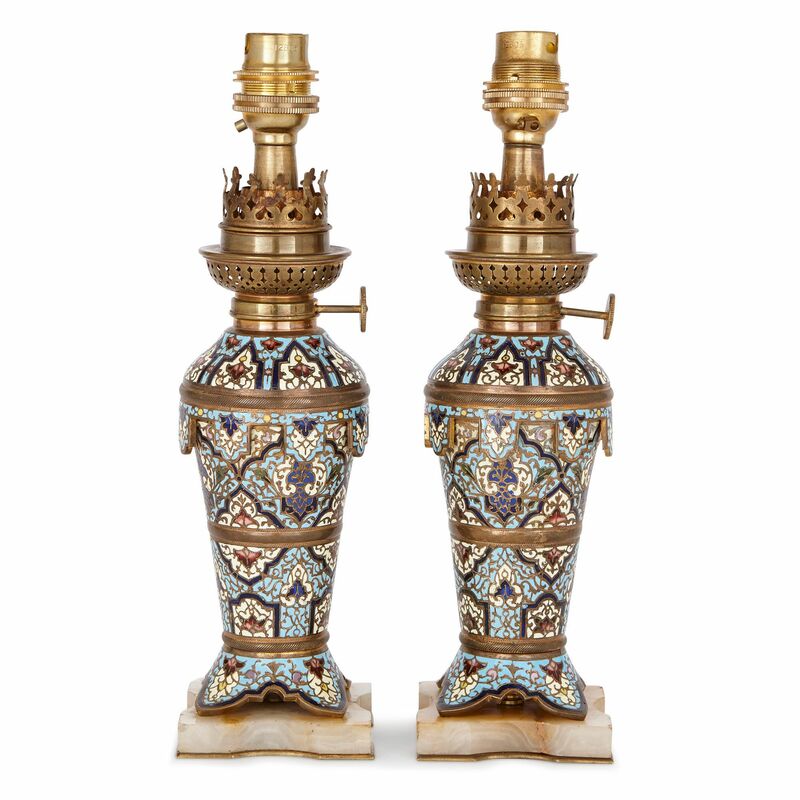 The shoulders of the lamps are fringed with geometric, champlevé enamel edges. These electric lamps were originally oil lamps. As such, they feature collars with wick raiser knobs attached, and have pierced caps, which once enclosed oil burners. These are now topped by sockets, which will hold the electric bulbs.